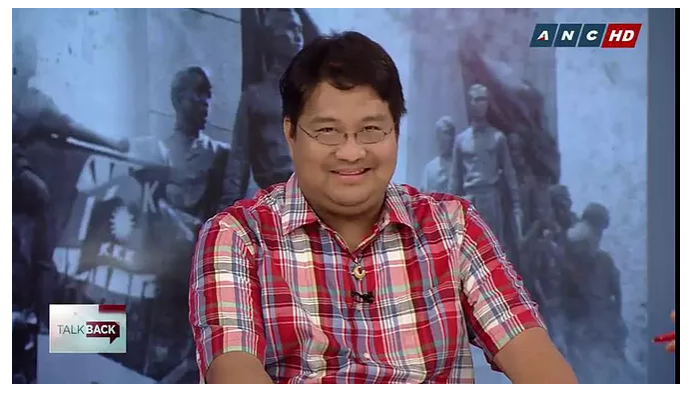 The Southville College Library will hold its 4th Celebrity Book Talk with Filipino historian Michael Charleston “Xiao” B. Chua as the guest celebrity. Mr. Chua will talk about “Books That Inform, Books That Inspire, Books That Entertain and Books That Persuade” on October 5, 2018. The event aims to foster a reading culture through the active promotion of literature. This is in line with Southville’s commitment to spread the love for reading among its stakeholders especially its students. 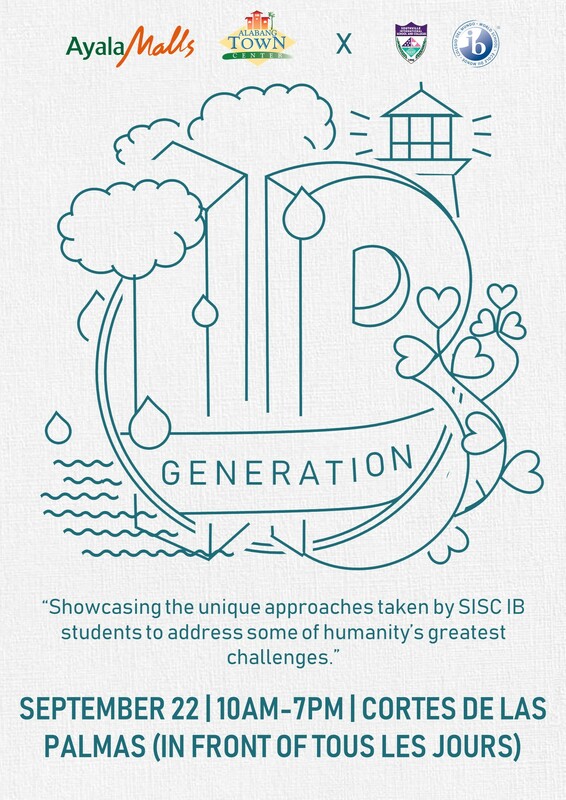 The exhibit will showcase “Food of the Future”, a wide range of craft-works done collaboratively by SISC IB student volunteers to portray how neglecting the environment we inhabit will result in such food to be on our tables in the near future. 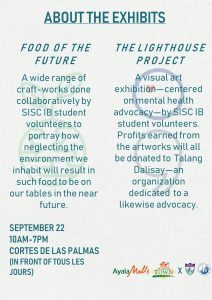 Further, the event will also feature “The Lighthouse Project”, a visual art exhibition-centered on mental health advocacy-by SISC IB student volunteers. 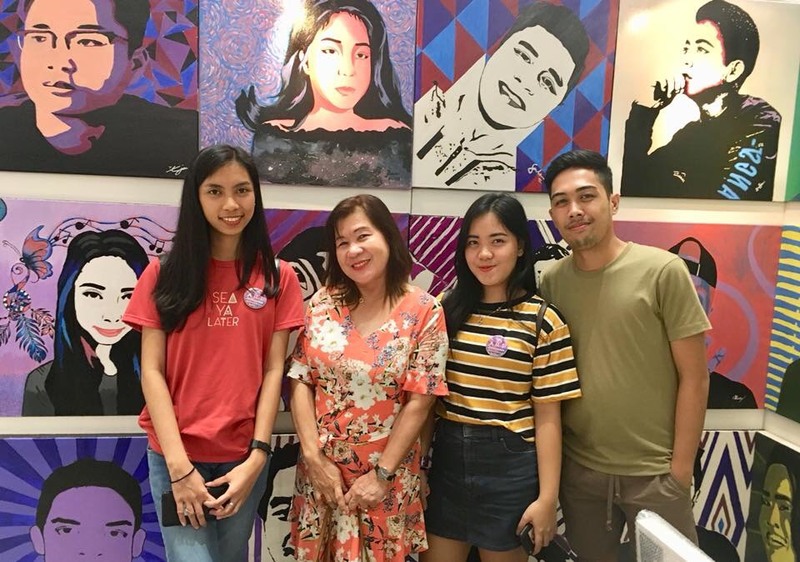 Profits earned from the artworks will all be donated to Talang Dalisay-an organization dedicated to a likewise advocacy. The Exhibits will be on September 22, 10 AM – 7 PM at Cortes de Las Palmas. 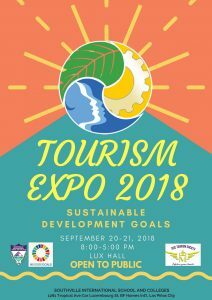 The College of Tourism is set to hold Tourism Expo 2018 on September 20 and 21, 2018. With the theme “Transforming our World, the 2030 Agenda for Sustainable Development”, the event will have Attorney Reynaldo L. Ching as keynote speaker and will feature various activities such as a Quiz Bee, Poster Making Contest and the Search for the Junior Ambassadors. 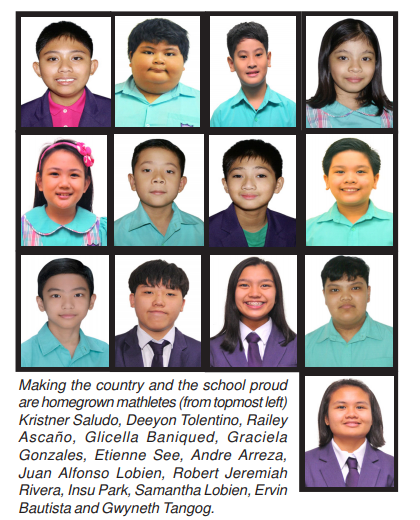 Students from Southville International School and Colleges (SISC) came away with top honors at math competitions held internationally and locally. International Golden Cup Mathematics Competition done in Xiamen, China last August 10 – 14. 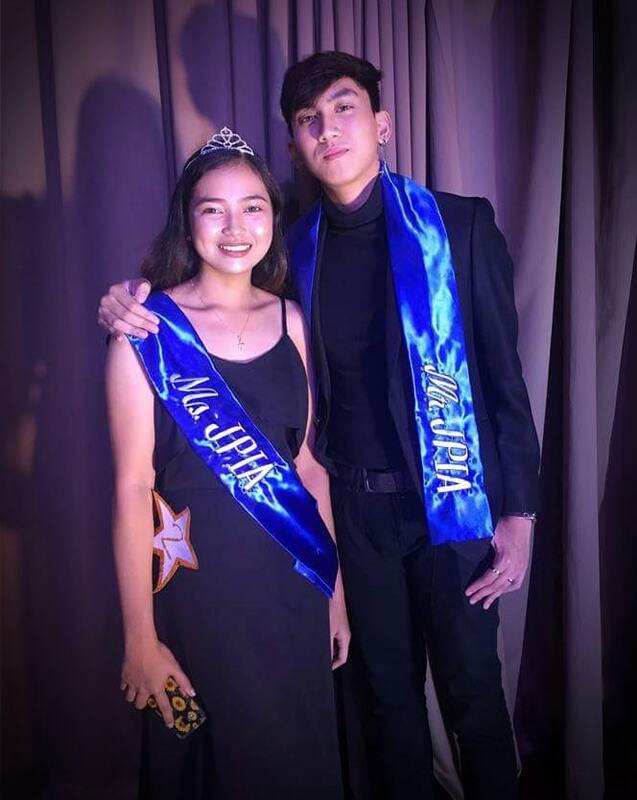 The Junior Philippine Institute of Accountants – Southville International School and Colleges (JPIA-SISC) chapter, held its annual JPIA Night on September 6, 2018 at the Luxembourg Gym of SISC. 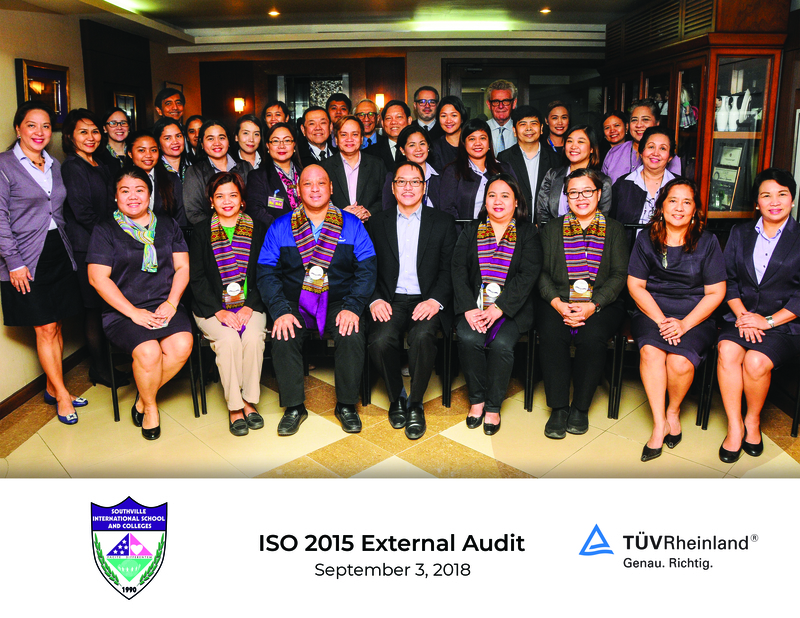 True to its commitment of delivering excellence in its processes and systems, Southville International School and Colleges has successfully received the ISO 9001: 2015 Certification thru TUV Rheinland in its recent audit visit on September 3, 2018. The auditing team is composed of Mr. Ramoncito Puyat, Ms. Jogina Mendiola, Ms. Michelle Pestañas and headed by Ms. Jean Laguitao of TUV Rheinland. During the closing meeting, Positive Findings were highlighted and the observations for improvement were classified. Excitement went up when notable zero nonconformity was specified. 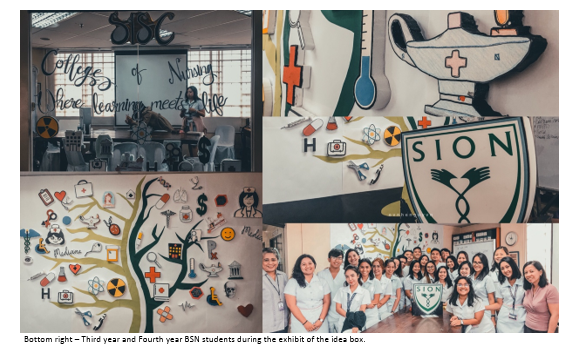 Southville Art Appreciation Students’ artworks were among those showcased in the Art for Everyone 2018 organized by SM Supermalls. The event is an annual art tradition that recognizes all Filipino artists, be they are the celebrated ones, novice and students. 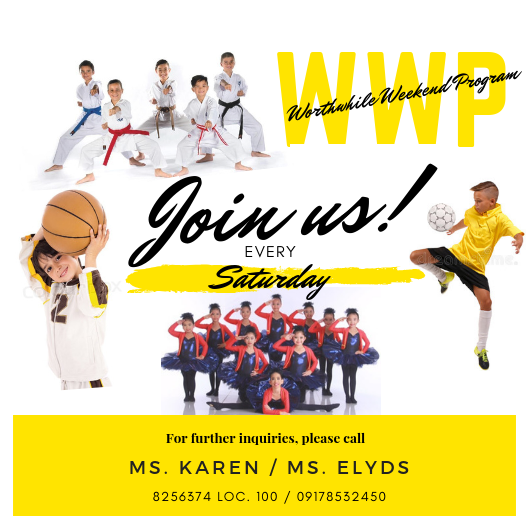 The Worthwhile Weekend Program is Southville International School and Colleges’ offering for students and other interested parties who may want to put their Saturdays into good use by learning new skills or knowledge in fun and interesting ways. In the Performing Arts, the classes offered are Ballet in partnership with ACTS Manila. For the sports minded, there are classes in Karate, Basketball, Soccer, Volleyball, and Arnis. 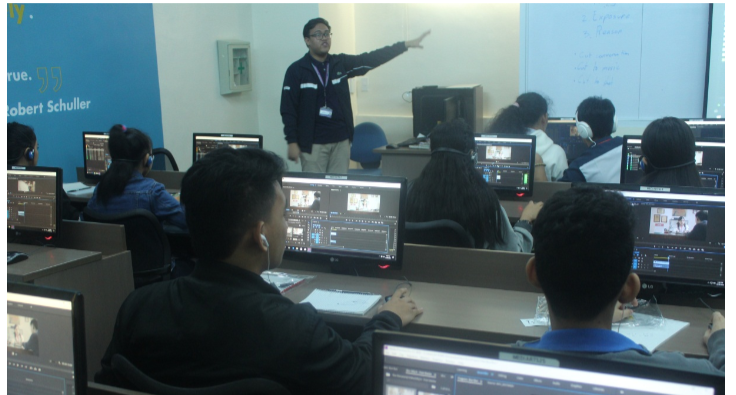 Southville International School and Colleges’ 4th year Communication and Multimedia students recently hosted their 1st outreach for the school year entitled: “A Workshop on Video Editing”, as part of the school’s advocacy to give back to its adopted CAA community. 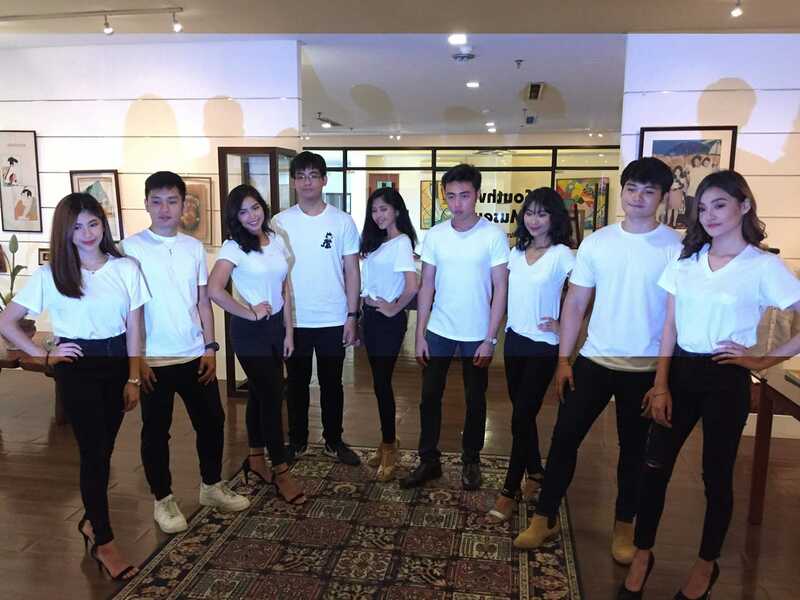 The said event was held last September 24, 2018 at the Media center as part of an activity for the students’ Multimedia Business Class.